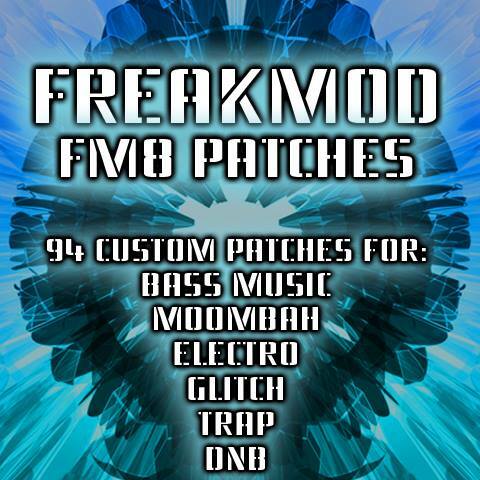 FREAKMOD is an Fm8 pack containing Versatile and unique basses and leads to be used in today's dance floor heavy genres. The pack contains sounds suitable for Glitch Hop, Trap, Electro, Dubstep, Drum n Bass, Moombahton, and whatever else needs HEAVY BASS. There are multiple patches set up using using the morphpad, which opens up a whole new world within frequency modulation. With FREAKMOD you will bring your tracks to the next level, and simply leave the competition completely "Freaked out".